Hey all, so last Saturday November 2nd I attended the National OCD Conference in Newcastle hosted by OCD-UK. I had a brilliant time! I met some lovely people and it was great to be surrounded by so many people who really understand. So I woke bright and early on Saturday morning, took the Metro to Newcastle and then walked to Northumbria University where the conference was being held – my mum came along too. So we signed in got our name badges, then I met Lottie – I’m helping her with the OCD Young Peoples Guide for OCD-UK – so it was really lovely to meet her in person. 🙂 We then all took our places in the lecture hall and Ashley Fulwood the Chief Executive of OCD-UK led the introduction to conference along with Kylie Cloke, Chair of OCD-UK. Then the conference began! I thought this a very interesting talk on how OCD can even interfere with peoples religious practices. Also how the rules of certain religions can prove a big challenge to OCD sufferers. Even though i’m not religious, I still found it pretty interesting. This was a very inspirational personal story into Karen’s personal experience with OCD. Her perseverance and accomplishments with OCD were truly brilliant! The huge steps she took for her recovery were amazing, definitely inspired me. This short film was amazing! It truly captured the mental turmoil that OCD puts people through on a daily basis. 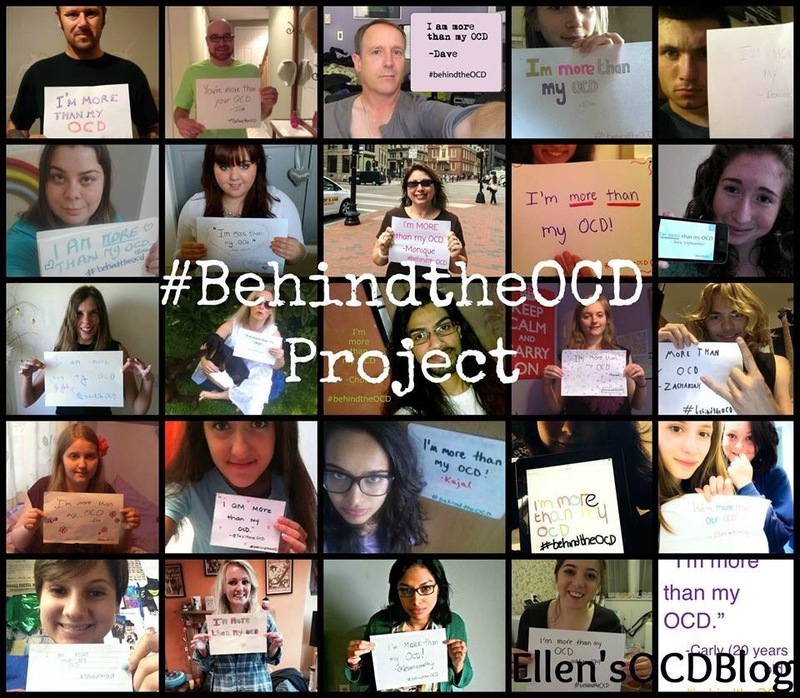 I hope this film will help people to truly understand what it’s like to have OCD – it’s not what most people think it is! I was very intrigued with this topic because I’m going through CBT treatment right now. It was very interesting to learn more about the treatment I was getting. There was loads of great information talked about, took me a while to take it all in but it was very good. Hopefully it might help me for my future career plans! Nicki’s personal story was brilliant. It made my heart break when she told us that multiple therapists had told her that she was incurable. Nobody should ever be told that! Everyone can recover, and she proved them all wrong! It was great to hear how she got the treatment she deserved, and how she made it through all the struggles she had experienced in her life. I thought that this was a really great presentation of how OCD can affect the family. It covered some really important issues such as how family members can get brought into reassurance and helping out the sufferer with avoidance. At the end of each presentation we were allowed to ask some questions and some of the ones brought up in the section were really sad. It just shows the stuggles surrounding OCD and the family. Loved this presentation! It was by Lottie who I had met earlier in the day. She discussed her experience with OCD and how she was able to get the help she needed to help with her OCD. She mentioned how success does not really go in a straight line, it’s sort of a squiggly line! No ones journey goes perfectly there’s always going to be ups and downs. A very inspirational story – she has just recently completed a year abroad in Germany, which when her OCD was affecting her the most it was something that she thought she would never ever be able to do! I just shows that everything is possible. Another great presentation by Paul Salkovskis – really funny too. Lots of great information. Again hopefully it will help me for my future career plans! (Clinical Psychology). Then Ashley Fulwood, CEO of OCD-UK closed the conference with a few words. Altogether it was an amazing day! During the breaks between the presentations I was able to speak to a few people including a volunteer for OCD-UK who’s 15 year old son has been able to overcome OCD. It was really lovely talking with her and her son really inspired me to keep going and battling my OCD. I also bought ‘Break Free From OCD’ which looks like a really good book! I’ve been told by some people that it’s a really good read, so I can’t wait to start it! (Hopefully my OCD won’t interfere!). I also met Ben from Twitter which was really good 🙂 . It seemed like I was the youngest one there by a fair few years but I didn’t mind because everyone was really friendly.If anyone is thinking of going to the next OCD Conference, I would definitely recommend going. I don’t think the part of the country that it’s being held at has been confirmed yet but I know that it’s going to be further south. Thank you all for reading this and I hope you’re all doing well. Sounds like an amazing conference! Thank you for sharing.